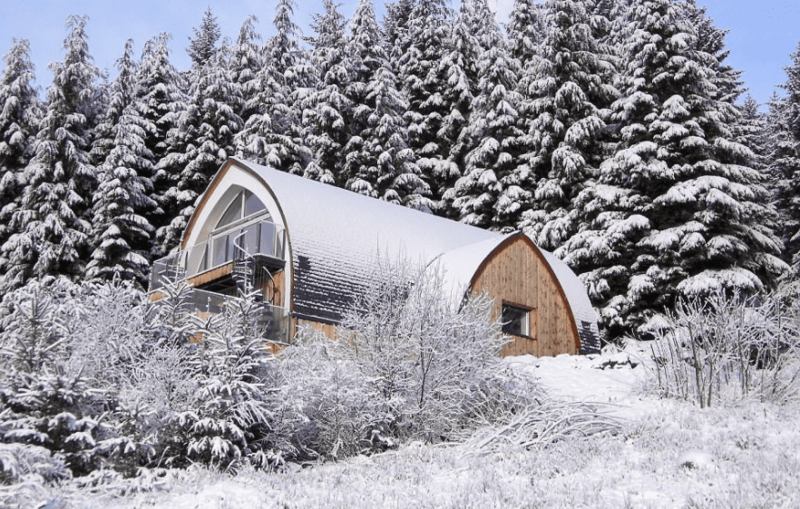 Take a look at this modernized medieval-inspired home in the beautiful Scottish Highlands. 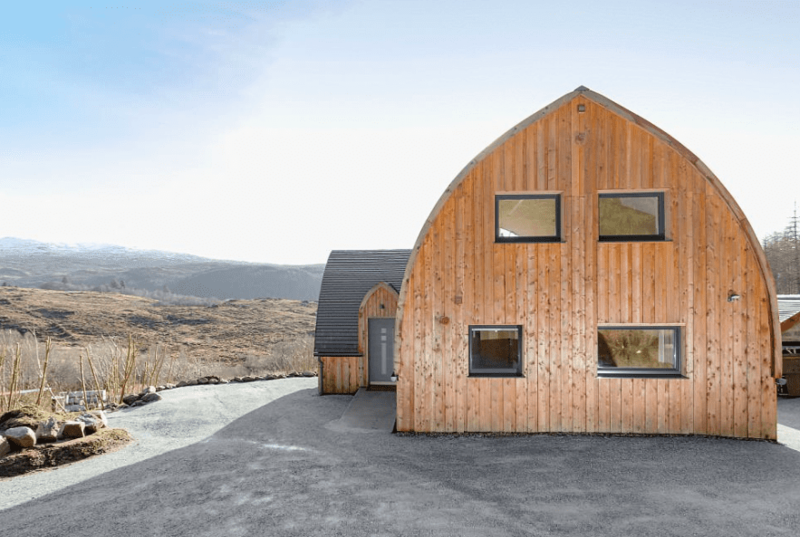 This luxurious getaway was constructed using 500 bales of straw for its main method of insulation. 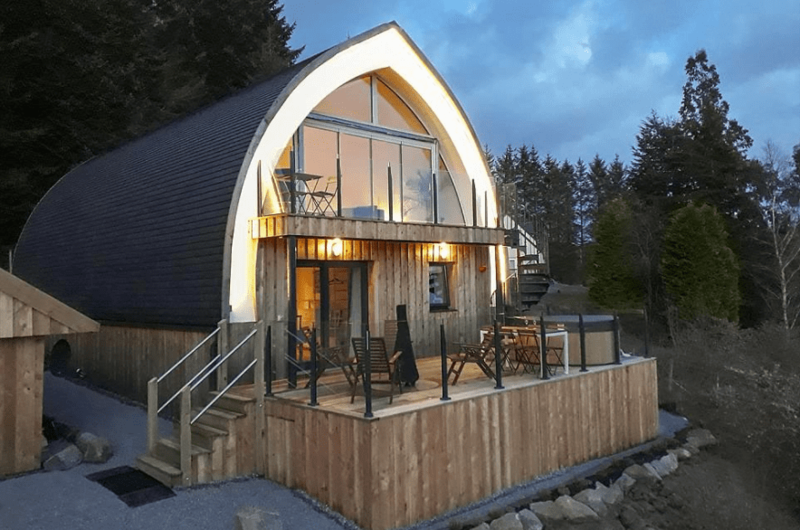 Located in Strontian near Fort William, this eco-friendly mansion is able to export about five times more energy than it imports. This scenic destination is known as the Jill Strawbale House and utilizes two micro hydro generators as its power source. In addition, the property encourages guests to recycle and take advantage of public transportation. The Jill Strawbale House is owned and operated by Robert and Justine Dunn, who have previously studied and worked in tropical forest management. Their property was initially constructed as a means to bring in some extra income for their retirement. 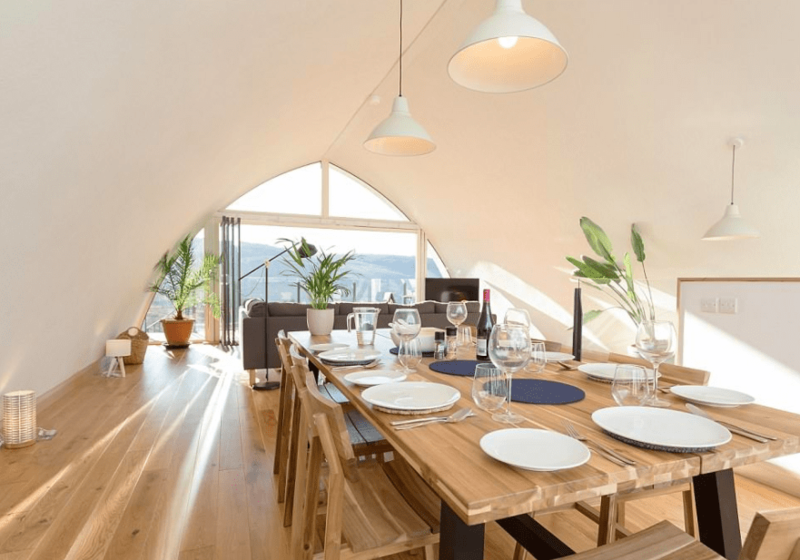 The Jill Strawbale House overlooks a breathtaking view of the Scottish Highlands. The property was once the home to members of the clergy. Robert and Justine managed to renovate the old vicarage over 15 years ago. “By picking a cruck frame design that was easy to erect, we have been able to do most of the work with help from friends and the rest of the family too,” he added. On the inside, the home is filled with windows which stretch from the floor to the ceiling. 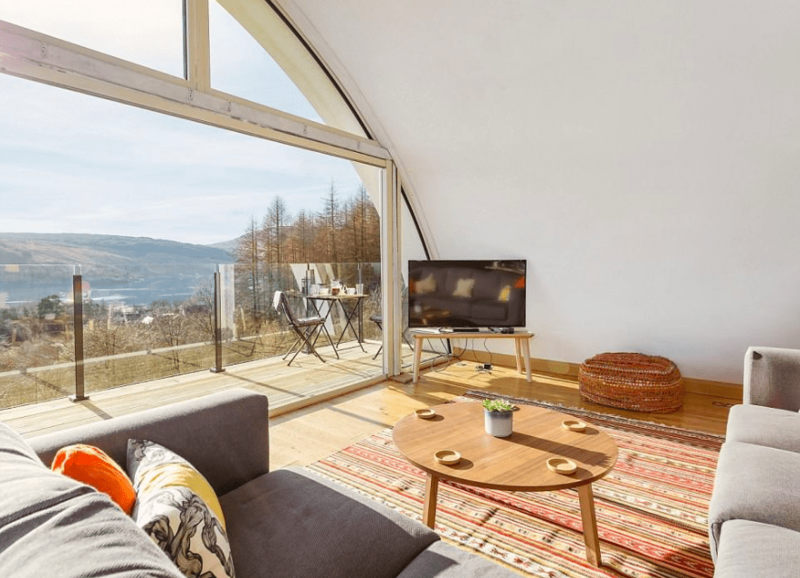 In addition, there are sliding glass doors which open onto a balcony with incredible views of Loch Sunart and the Morvern Hills. 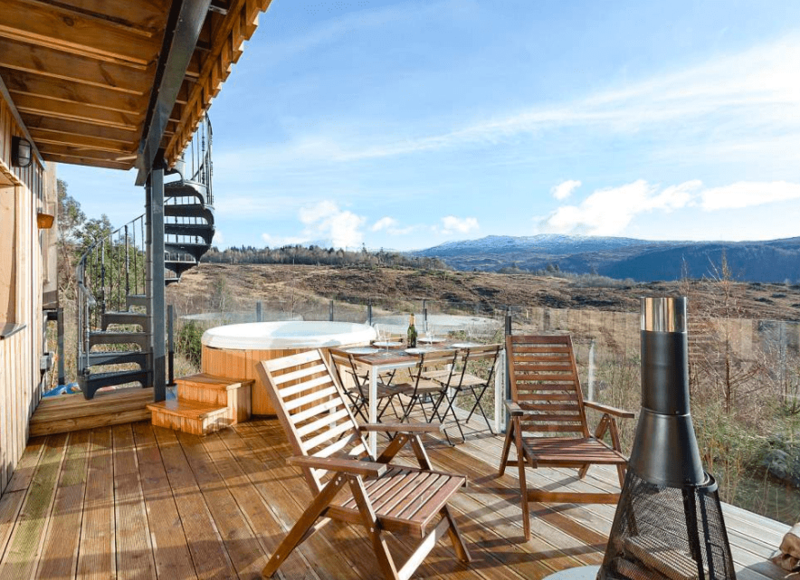 If you follow the spiral staircase down to the lower deck, you’ll find a hot tub, dining and seating areas, and a telescope where visitors can stargaze or observe wildlife. The two-bedroom house can be rented for about $1150 per week during the low season and is suitable for up to five guests.